Firstly, i will bore you with a little bit of history of Tim Ho Wan (添好運/添好运). 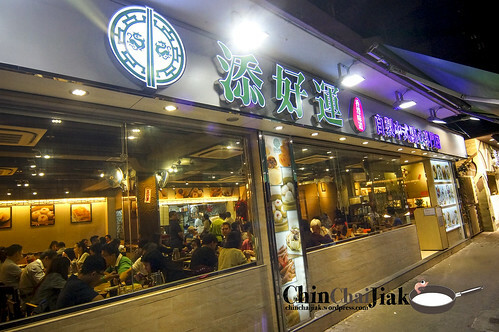 The main chef Mak Kwai Pui (麥桂培) of Tim Ho Wan was originally from a well established restaurant under the Four Season group – Lung King Heen (龍景軒). 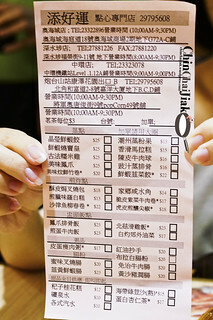 He later opened Tim Ho Wan in year 2009 that offers 5 stars hotel Dim Sum at street price. 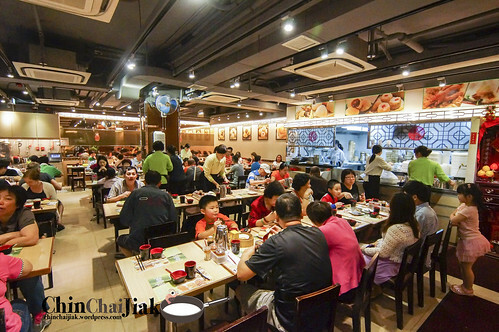 In less than a year, Tim Ho Wan was awarded one star by Michelin. 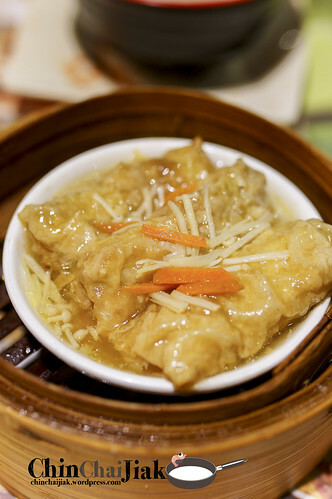 By then, it already has a reputation for selling the best dim sum in Hong Kong. As we know, it had created a storm when they opened their first branch in Singapore. 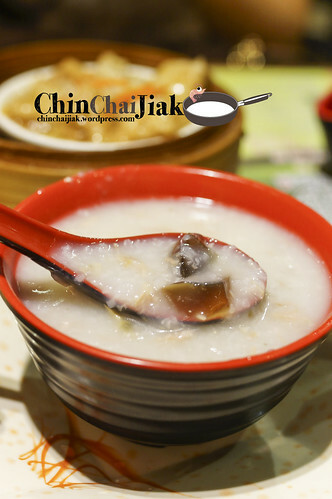 I used to visit their branch situated between Prince Edward and Sham Shui Po station and that is the branch that was awarded the Michelin star. I remember it was not exactly a great experience. The place is really really cramped and the waiting time is crazy, and service is below average. My conclusion then is they are great for the Polo Char Siew Bao. When i visited Hong Kong this time, I didn’t have the intention to visit Tim Ho Wan but i got some free time on hand and the location is rather near my hotel so i thought , “Ok I’ll give it another shot”. I visited their Fortress Hill branch for supper at around 8.45pm. This branch is at least 4 times bigger than the one that I visited and it’s much more spacious and well decorated. It was almost full house but i still manage to get a table instantly. I only ordered a few items, and surprisingly, all of them hit the right spots. 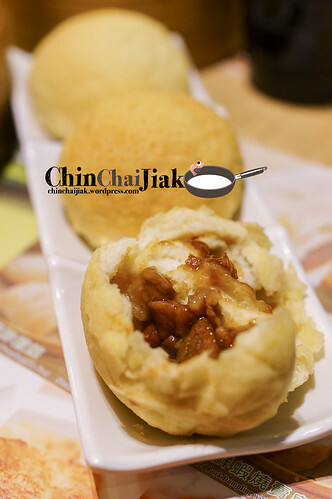 The Polo Char Siew Bao is fluffy soft and topped with a thin layer of not-overly-sweet sugar crust. The Char Siew is covered in a warm thick and rich gravy. The bun’s crispy texture complement the Char Siew perfectly. This is the exact item that was awarded with one Michelin Star and just one serving is always not enough. This is still the best item at Tim Ho Wan Hong Kong. However, i do hope that they can be more generous with the Char Siew fillings though. This dish cost HK$18 (S$2.90) while it cost S$5.25 in Singapore. 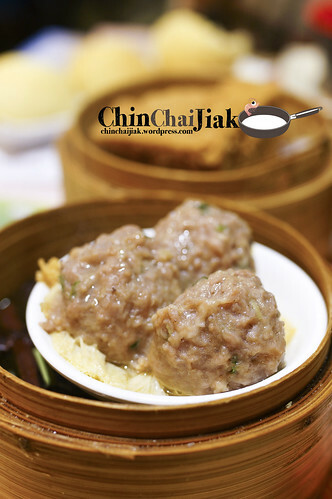 This dish is pretty good as well for it’s soft steamed and well marinated minced beef. There is a well balance of fatty and lean beef in this combination and the steamy hot beef ball taste really fresh. There are also Bean Sticks (Tau Kee) placed beneath the meat ball and they absorb the natural sweet meat sauce during the process of steaming. This meat ball is my second favourite dish of the day. This cost HK$16 (S$2.60) while it cost S$4.90 in Singapore. 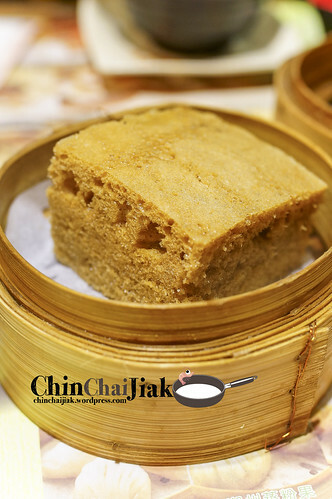 This is one of the four heavenly kings of Tim Ho Wan and it’s well known for it’s soft fluffy texture. I had this in Singapore’s Tim Ho Wan and i actually like it, but it comes at a costly price tag of $4.45 nett. For the same item, it only cost HK$15 (S$2.40) and therefore makes this dish much more enjoyable than having it in Singapore. 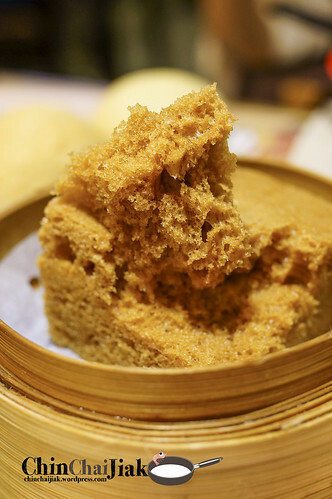 The steamed cake is served piping hot and i enjoy the fluffy spongy texture with a eggy light brown sugar taste. 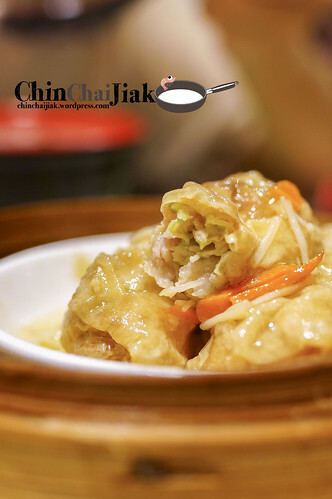 The ingredient of the Beancurd Skin Roll taste very fresh and flavourful and the shredded vegetable wrapped in the chewy Beancurd Skin actually enhances the overall texture. The gravy that comes with it has just the right level of saltiness and does not overpower the main lead. It cost HK$20 (S$3.20) while it cost S$4.65 back in Singapore. Actually I myself was quite surprise that the experience of visiting Tim Ho Wan’s Fortress Hill brand is vastly different from the previous visit (5 years ago) of the Sham Shui Po Branch. 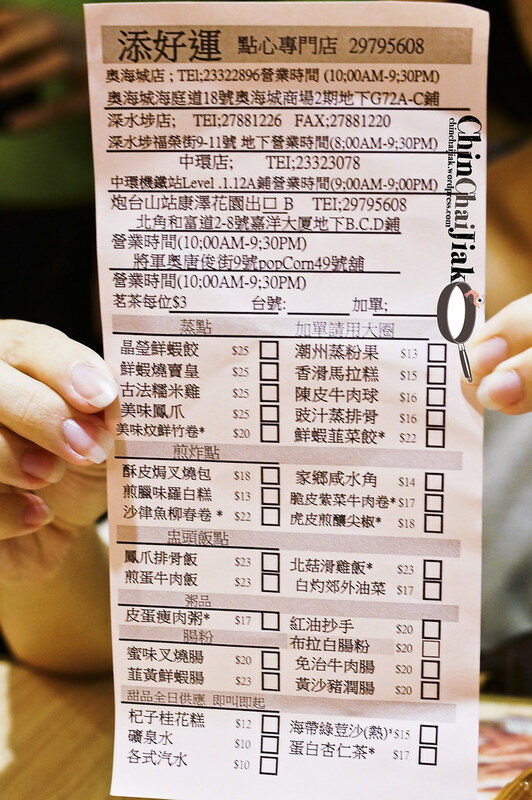 Comparing Hong Kong’s price to Singapore, their signature Polo Char Siew bun is mark up by a whopping 80%. I always have this philosophy that the taste of food is somehow link to the price and waiting time. 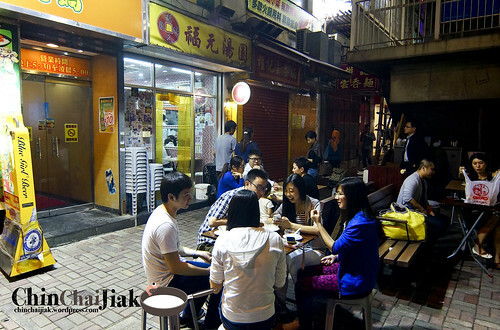 For this visit, there is zero waiting time and realising Tim Ho Wan’s affordable price, everything appears to be better. Their century egg congee is not the most flavourful. Those who enjoy something light may enjoy this porridge much. 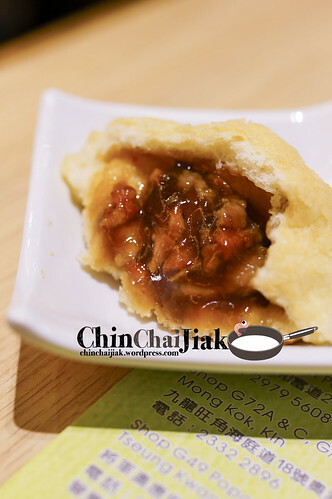 For those who are already a fan of Tim Ho Wan, then this is a must-visit for you. And for those who think that Singapore Tim Ho Wan’s price is too exorbitant, this will be your chance to enjoy a better quality Tim Ho Wan at a much cheaper price. Actually Tim Ho Wan is between the Fortress Hill and North Point Station but it’s more straight forward to walk from Fortress Hill. It’s about a 7 to 10 minutes walk. 4. Continue walking straight. City Garden Hotel will be on your left. 5. 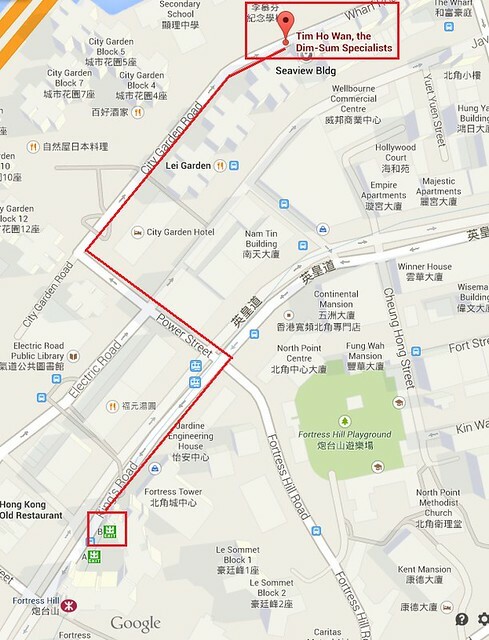 After passing City Garden Hotel, walk a little bit more and Tim Ho Wan will be on your right. I am writing this post in excitement and the reason? Glutinous rice ball dessert. Normally I don’t normally associate glutinous rice ball with the word exciting but Fook Yuen’s (Fu Yuan Tang Yuan) does. I only planned to visit Fook Yuen for the sake of eating a variety of food. I thought it may be a good idea to look for some Chinese-style dessert in Hong Kong. Though Fook Yuen enjoyed some good reputation online, i am paying a visit with little expectation. But in the end, I returned to this eatery for consecutive nights. I’m sitting at one of the four indoor tables in the small eatery. 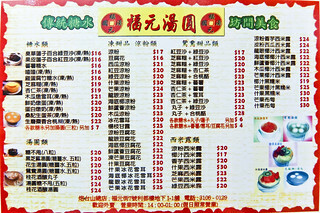 Fook Yuen is a very small dessert eatery near Fortress Hill station (炮台山). There are only four tables with a very limited seating capacity. They sell many kinds of dessert but when asked what is their signature and best seller, the boss is proud to declare – their Glutinous Rice Ball. 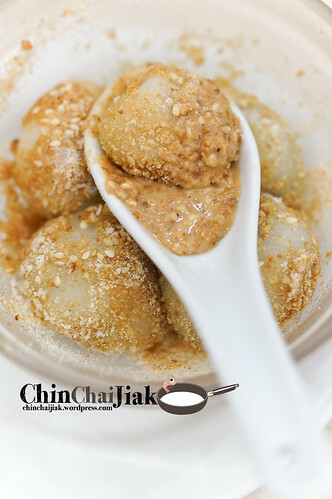 There are many kinds of base (almond milk, sesame paste, sweet potato, papaya fungus, walnut paste, peanut mix etc) and top up HK$7 to add three rice balls. The texture of the glutinous rice ball is rather different from Singapore’s. The skin is super thin, but doesn’t break easily. It’s super soft, chewy and very Q and it’s as if i am eating a piece of sticky muah chee (mochi). 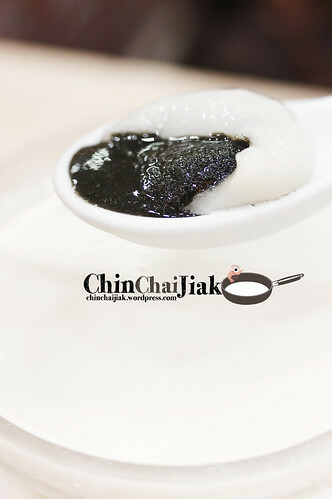 As the thin skin tears off, the overflowing sweet grainy black sesame oozes out from the Glutinous Rice Ball. Upon the first seep, the fragrance of the hot black sesame literally gushed upon my nose and mouth. Every subsequent mouthful of the chewy glutinous rice ball with it’s rich and flavourful filling is an enjoyment. Although the filling is slightly sweeter than our Singapore Ah Balling, the less sweet almond milk balance it up. 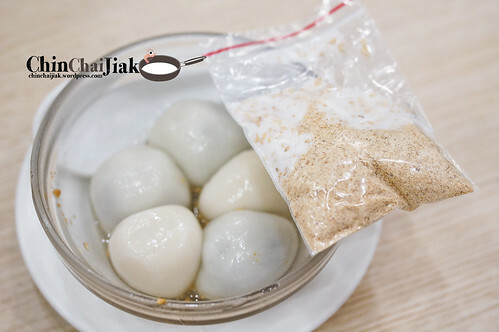 Unlike our Singapore version where they serve Glutinous Rice Ball in Almond Paste, the thick and gluey paste is fighting for attention with the Glutinous Rice Ball. Fook Yuen’s almond milk adds on the fragrance of almond to the overall taste with only a tinge of sweetness and compliment the rice ball really well. Comparing to what we found in Singapore, Fook Yuen’s skin is much thinner and the fillings are much fuller. This is the best Glutinous Rice ball that i ever had. I also had their Peanut Rice Ball in Sesame Paste. My choice is still the Almond Milk version. 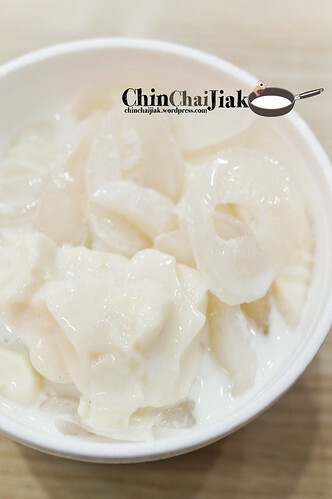 Apart from the soupy Glutinous Rice Ball, Fook Yuen also offers the dry version at HK$20 that is known as 汤圆糖不甩. 糖不甩 means “can’t shake off the sugar (the topping)”. I know it sounds a little funny but it actually means that the topping can’t be separated once it’s mixed with the rice ball. The rice ball is the same, the only difference is they will throw in a packet of pre-packed peanut mix. Their grinded peanut has both fine and coarse texture with very fine sugar. The unique thing is they added coconut shavings to enhance the fragrance. I asked for three peanut and two sesame rice balls and i totally enjoyed the peanut fillings as much as the sesame. 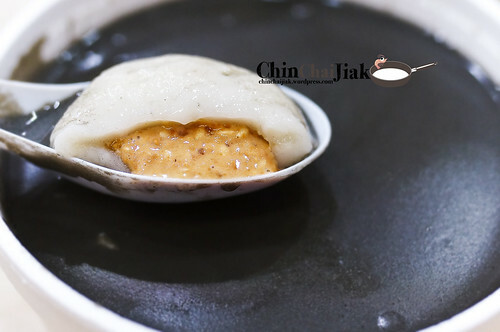 I also tried their sea coconut dessert as i thought “they can’t be only good in the Glutinous Rice Ball right?”. And base on just this dish, yeap, they are. 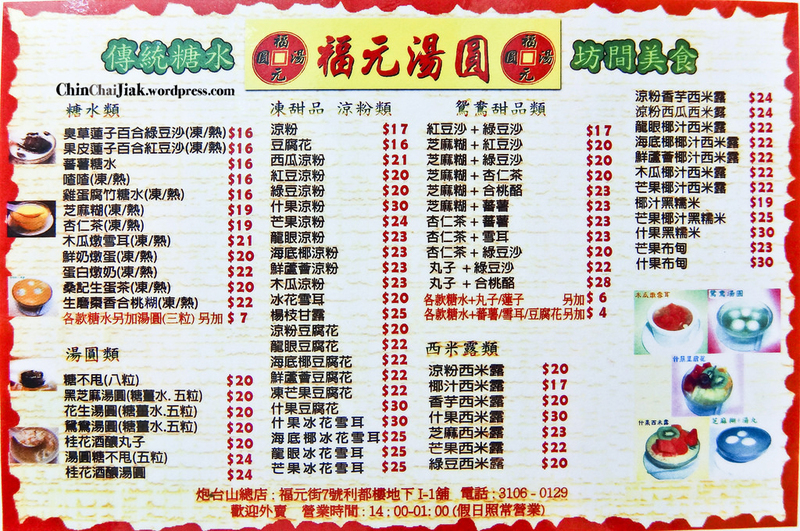 When I visit Hong Kong, i have a list of fixed things to eat and list of a new eateries. At the end of the day, some new eateries will be stroke off and some will be “promoted” and Fook Yuen just got “promoted” into my to-return list. How can i not return to the stall that sells the best glutinous rice ball that i ever had. The location is really accessible, there’s always enough stomach space for dessert and taste is good so I can’t really find a reason to not love Fook Yuen. I can never guess that such a simple dish can be that satisfying. 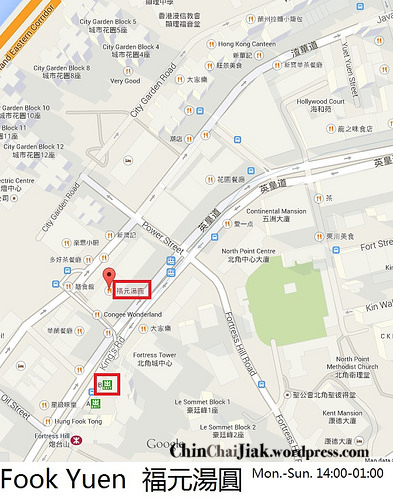 Although on the map, Fook Yuen seems to be a short distance away from the MTR exit but it’s really near. It’s like just directly opposite the MTR exit of Fortress Hill 1. Come out from Exit B of Fortress Hill 2. Look for an overhead bridge 3. Cross the bridge to the opposite side 4. Fook Yuen is directly below the bridge, on the right, as shown in the photo at the conclusion section.